My name is bits, Katebits. What exactly do you think you’re doing? I’m blogging about the Sabres and whatever else I feel like blogging about, beeyotches! 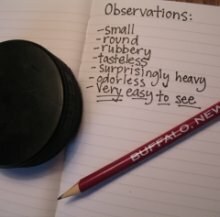 After six years of living in WNY, in the spring of 2007 the Sabres finally got under my skin, and as a result, the city of Buffalo suddenly felt like home. 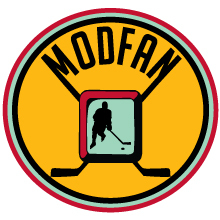 I consider myself a full fledged Buffalonian at this point, but before I started following hockey, I was never really comfortable here. The Sabres were like a gateway drug. It started out innocently enough, but before I knew it I was hooked, both on the game and on the city. Despite growing up in Minneapolis, I’d never seen a single hockey game until I moved to Buffalo. It turns out, I love hockey. 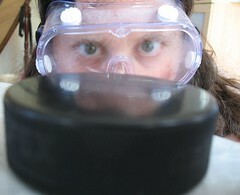 I really, really, really love hockey. When I started blogging about the Sabres I knew almost nothing about hockey (I think my early posts reflect that dearth of knowledge), but I’ve picked up a thing or two since then. I’m no expert, but I’ve watched a lot of hockey in the last few years. The Willful Caboose was originally intended to chronicle the infancy of my Buffalo sports obsession, but after two years of following a non-playoff team, I’m not sure I still qualify as an “infant”. I’d say I’m more of a toddler now. I still need constant supervison, and I rarely know what I’m talking about, but now I’m liable to throw loud temper tantrums. Heh. The name of my blog makes no sense. Seriously. If I could go back in time and name my hockey blog something hockeyish, I probably would, but we all have to live with the choices we’ve made, and “The Willful Caboose” is one of my more…nonsensical choices. Just go with it. Why do you call Ryan Miller “Crunchy”? Um, this also has no good story. I picked up “Crunchy” from Interchangeable Parts. As far as I know, there is no hilarious story, it’s just that Crunchy can look a little crunchy from time to time between haircuts. There is also a joke about Crunchy making his own yogurt-covered raisins and weaving his own hemp clothing, but come on, that’s just silly. 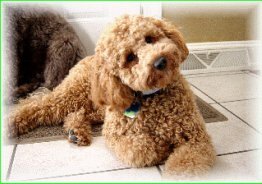 I know that Jason Pominville is “Pommerdoodle”, but I don’t know why. What are the other nicknames I might not know? All the others are pretty self explanatory, although I am personally quite proud of the “Roy-Z” spelling. What the HELL is :^::::::::::::::::::::::::::::? I’d like to send you money, jewelery, or hilarious pictures of Sabres. How do I get in touch with you, Katebits? I have a mystery that needs solving. What should I do? I suggest you call the Pommerdoodle Detective Agency. Crunchy and Pommers will try to solve your mystery for a small fee. Stafford is a brain-eating zombie, Crunchy has an eating disorder, and Thomas Vanek is a (lovable) slag-faced whore. That’s about it.